Discover amazing private villas in Port Antonio Jamaica, With incredible views and lots of options, we can get you the most affordable price available. Port Antonio is a small town tucked onto the shores of the Caribbean Sea in northeastern Jamaica. Located between Winnifred Beach and St. Margaret’s Bay, it’s approximately 60 miles northeast of Kingston and miles away from the hustle and bustle of the major resort towns. Up until the 19th century, this area was largely undeveloped and unexplored. It earned some attention as a major producer of bananas and quickly gained notoriety as a quiet, peaceful place to escape the rest of the world. 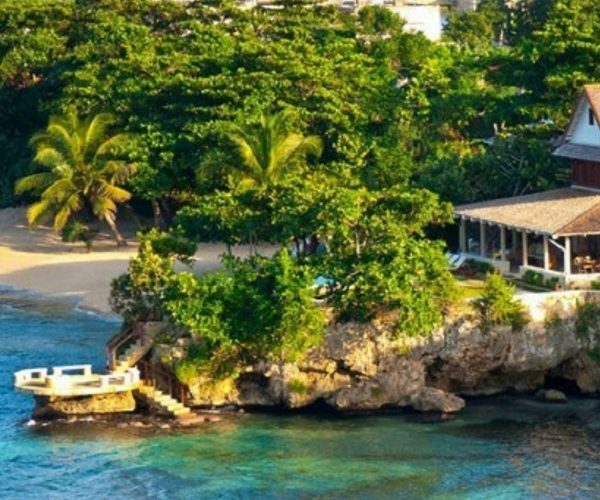 Today, many wealthy travelers purchase secondary homes in Port Antonio, but it’s mostly known as one of the most luxurious spots for romantic vacations, honeymoons, and destination weddings. It’s a great place for a family vacation if you want to escape the crowds that are often experienced in major Jamaican resort towns. If you want to get to know Port Antonio in a more intimate manner, start your trip with a self-guided walking tour through town. This tour starts on West Street at the Musgrave Market and wanders by the courthouse, through the architectural wonders of Port Mall, by the marina running along West Harbour, and by some of the best schools and churches. It comes to a wrap at the Folly Point Lighthouse on the East Harbour. Feel free to stop off at one of the small restaurants for a meal with authentic Jamaican flavor or talk to the locals as you relax with a cold drink along the way. This area of Jamaica is also home to the scenic Blue Mountains, and you can spend an enjoyable afternoon hiking or biking through elevated jungle trails. You can also enjoy a romantic horseback ride along the beach or try something more Jamaican by setting out on a Calypso raft. If you want to venture away from Port Antonio for an afternoon or a couple days, you can also enjoy off-road 4X4 or ATV adventures, treetop ziplining tours, and the amusement of river tubing. When it comes time for romance, you can’t beat the little restaurants that offer intimate seating and spectacular views of the sea. Mille Fleurs is a great place to enjoy great food while staring into one another’s eyes, and there are many restaurants that are better suited to family dining. When you travel with concierge services, you will know about all the best restaurants for the type of Jamaican vacation that you’re planning. If you’re ready to slip away to the Caribbean Sea, the following highly recommended accommodations will provide the cozy backdrop that you need to enjoy your trip. 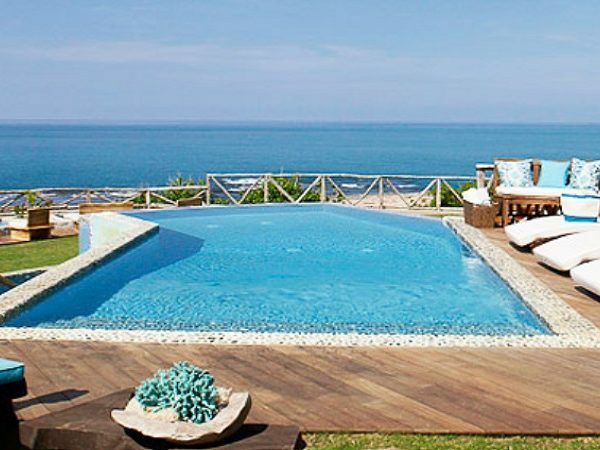 In true Jamaican fashion, this fun hotel offers f13 oceanfront villas decked out with private terraces, private tubs, walk-in closets and private showers. While each of the villas are decorated with retro artwork from the 50s and 60s, they each have spacious, open floor plans with comfortable modern furniture. You get a laid-back, cozy vibe the moment you walk in. It’s like a home away from home. There are also some smaller villas that still provide enough floor space for multiple people to spread out and have a good time. This variety ensures that every guest can find the perfect villa for their budget and their needs. Regardless of which villa you select, you’ll enjoy access to the private beach, which includes access to guides willing to take you out for a boating or snorkeling adventure. There’s a bar right on the beach, and you’ll have more than enough room for romantic walks at sunset. When you’re ready to eat, find one of the designated dining areas, head out to the veranda, or order a meal from the privacy of your villa. The Trident Hotel even includes a unique art gallery and private event space called the Explorer’s Lounge. This beautiful room features artwork from the 50s and 60s and is the perfect blend of modern class and retro sophistication. This hotel is located about 10 minutes east of Port Antonio, but it’s close enough to keep you close to all of the town’s attractions. It’s also close to Geejam Beach and several surrounding hot spots, including Frenchman’s Cove and Blue Lagoon. 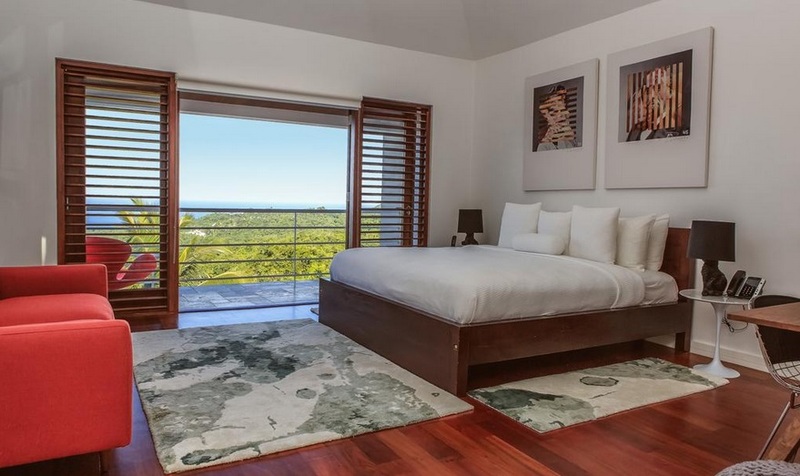 The property extends from the Caribbean coast into the Blue Mountains, so it’s not all about hanging at the beach. You can escape into the lush mountain terrain for a change of pace, so there are more opportunities here for rest and relaxation. The Geejam has drawn such celebrities as Gwen Stefani, Bjork, Sharon Stone and Grace Jones. Accommodation options at Geejam Hotel include three deluxe cabins, one suite, and a three-bedroom villa that serves as a self-contained paradise. The suite is positioned on the ground floor of the recording studio and includes an oversized bathroom with luxurious tub, a jacuzzi, and a large deck with chairs for outdoor lounging. 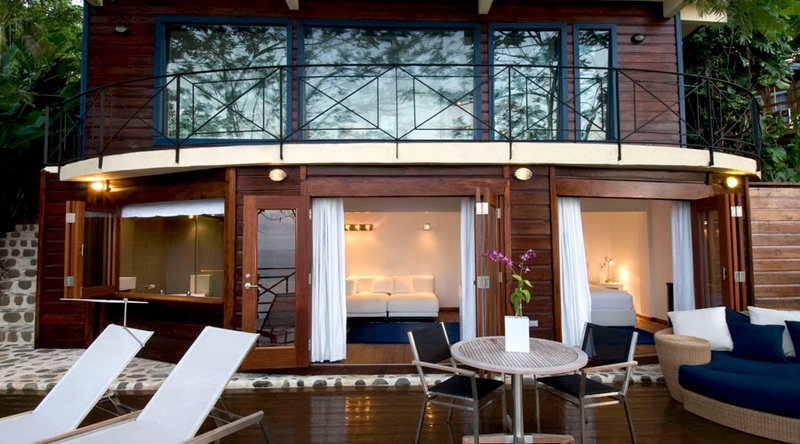 The cabins and villa are designed to accommodate guests further away from the recording studio, and they come with similar amenities. 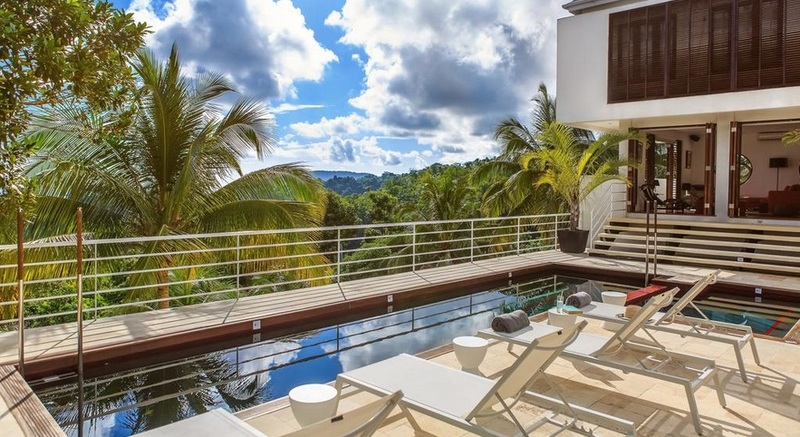 Discover this amazing private villa in Port Antonio Jamaica, With incredible views and room for 12, we can get you the most affordable price available. 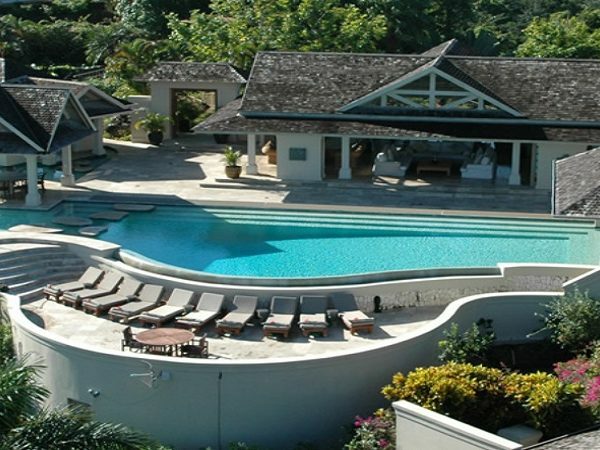 Situated in Port Antonio, Cocosan Villa offers self-catering accommodation with free WiFi. Guests benefit from terrace. Free private parking is available on site. There is a dining area and a kitchen as well as a private bathroom. 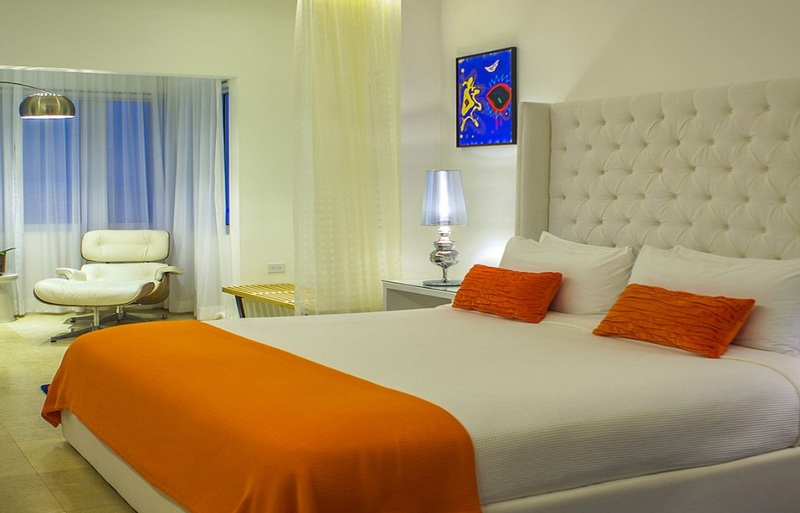 Towels and bed linen are provided at Cocosan Villa. Other facilities at Cocosan Villa include a hot tub and sauna. You can play table tennis at the property, and car hire is available. The nearest airport is Kingston Airport, 29.2 miles from the property. Port Antonia isn’t a vacation destination for just anyone. It’s a luxurious backdrop for upscale vacations enjoyed by the luckiest humans walking the planet. If you’re ready to count yourself into that club, allow us to offer you a 5% discount that will make the trip more affordable. We can also help you arrange for private transportation and a host of additional services guaranteed to make your trip more relaxing and rewarding. We work hard behind the scenes so that you won’t have to lift a finger when you arrive Jamaica.